Do you see your managers spending too much time trying to identify which employee said something? They don't spend enough time dealing with the issue itself? Is an employee opinion rejected because who said it - not whether or not it was true? 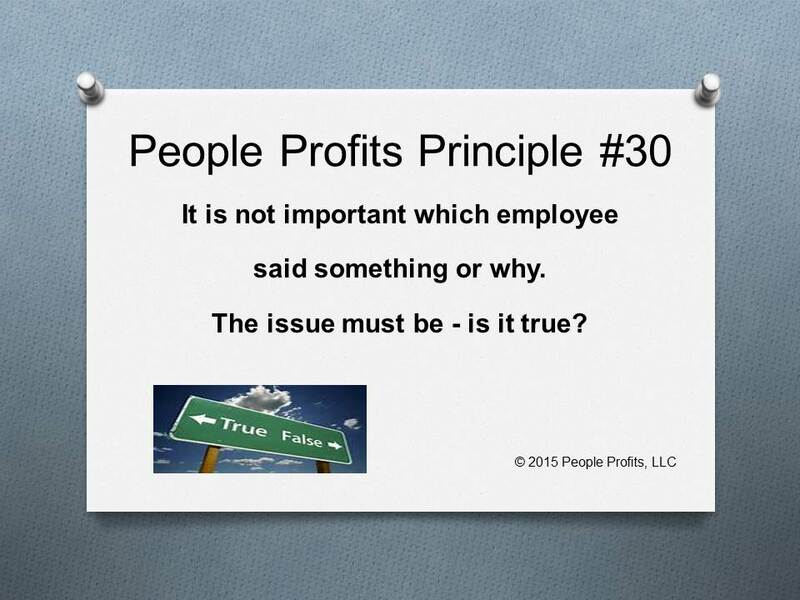 Are opinions rejected because of a preconceived idea as to the employees agenda? Do you see your supervisors and managers projecting their thought processes into other employees heads? All of this is costing you a lot of money and opportunities. Many companies spend an inordinate amount of time trying to figure out who said what and why. People Profits doesn't see that as being relevant. The only question is whether it is true. If it is true what are we going to do about it? If it is a good opportunity, how can we TAKE ADVANTAGE of it?